These two first orders symbolize the starting point of the commercial launch of this new technology, in addition to the existing Fives’ Cryogenics | Energy offer which already includes Brazed Aluminium plate-fin heat exchangers and cryogenic pumps. These brazed stainless steel heat exchangers have already been manufactured and tested according to both the European Pressure Equipment Directives (PED) and ASME construction code requirements, and will be installed in LNG plants this summer 2017. 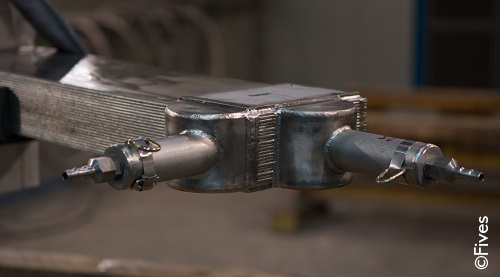 This new compact, efficient, multi-stream heat exchanger technology has been developed to propose new versatile and competitive heat transfer solutions, which will help our customers to create new business opportunities. Today, many other business opportunities are in progress, especially in Natural Gas applications and gas compression cooling. This success is all the more important that the whole team has been involved to achieve such innovative and ambitious projects.